These challenges include (a) changes in your industry that leave customers confused about what differentiates one potential vendor from another, (b) increasing costs and diminishing returns associated with traditional selling efforts, and (c) a difficult economic environment that is driving downward pricing pressures. 1. Redefine your lead generation strategy. 2. 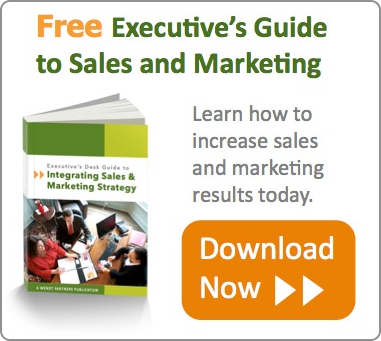 Improve the efficiency of your sales process. 3. Leverage the hidden value of your CRM system. 4. Tighten the connection between inside and outside sales. 5. Invest in better sales training and coaching for results. 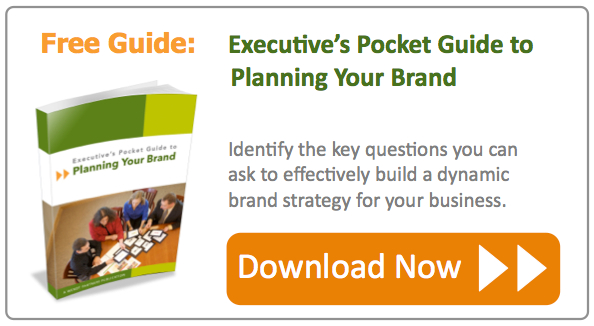 Here's how you can make each step count for your business. It sounds like common sense to say that lead generation is the most critical step in your sales process, yet many companies spend almost no time thinking carefully about lead generation. In the past, buyers collected 30% of the information necessary to make a purchase decision prior to engaging with salespeople, and 70% of the information came from the sales interaction. Today, buyers collect 70% of the information they need to make purchasing decisions prior to a defined sales cycle, and only 30% from your sales people and their colleagues at competing companies. What this means is that by the time your sales people reach qualified prospects, those leads are already well on their way to selecting a vendor or solution – and are much harder to educate or persuade. The best way to overcome this is to better educate and persuade them prior to engaging in a sales cycle. Doing so – through white papers, videos, webinars, workshops, blog articles and selection guides – also results in generating far better qualified and pre-engaged leads for your sales team. After lead generation comes lead qualification, but increasingly today the key to sales success lies in lead nurturing – the steps you take between generating a lead and handing it to the sales team. More and more, your prospects appear at varying points throughout your marketplace. One day they register on your website, the next they’re at a trade show. Then they come to an online webinar, but later unsubscribe from your corporate newsletter and sign up instead for updates from your blog. What to make of all of these actions and intentions? Lead nurturing is the essential glue in the sales process that allows you to tie these elements together and pass leads seamlessly back and forth between marketing and sales as prospects warm up, cool down, change interests or reappear. Some studies estimate that companies who fail to implement effective lead nurturing as a method of tightening their sales process lose one out of every three sales opportunities they could win through better sales processes. Your company has invested heavily in customer relationship management (CRM) software and your sales team is using it to track emails and phone calls reliably, as well as forecasting opportunities for you to follow each month. Is that a successful CRM strategy? Well, it’s a start – but it’s not enough value any longer. Today, CRM needs to dynamically interconnect with marketing so sales reps can see where leads come from and what activities each contact has engaged in (a process that is enhanced dramatically through lead nurturing). In addition, are you capturing social sales opportunities and connections? Are your sales people using LinkedIn to perform extensive pre-meeting research on their contacts, and is valuable insight from that research making it back into your target account profiles? These are all important components that can dramatically increase the value of your CRM system because they go beyond just tracking existing sales opportunities and instead help you do a better job of uncovering new opportunities – and closing existing ones. Your inside sales team is reliably placing follow-up phone calls and confirming emails to land appointments for your outside team. Sales meetings are taking place every day. Some of those are converting successfully into new customer relationships. But what about those that don’t? In many organizations, when a sales opportunity reaches the outside team and a deal doesn’t result, that’s the end of the line for the lead – time to drop it in the ‘dead’ bin. This linear, rather than dynamic, approach to sales misses a great many possibilities that can be pursued through tighter integration between inside and outside sales. Perhaps a prospect will be better primed to buy if she or he is returned to the inside sales team for ongoing communication? Maybe a prospect who doesn’t buy is still comfortable referring you to other possible leads (remember, prospects don’t always choose the vendor they want, believe it or not!). Perhaps a prospect who doesn’t return calls from the outside sales rep will be more responsive to a marketing offer or follow-up from the inside sales department. Find the increased value by encouraging two-way, dynamic management of relationships within your entire sales team. Better sales processes and tighter integration between marketing, inside sales and outside sales requires behavior change within your sales team. Use this opportunity to commit to a flexible, customized sales team development program – one that will focus on coaching your sales team to achieve better results through a more effective day-to-day approach. Better lead qualifying, sharper prospect questioning, more thorough lead nurturing and tighter use of precious sales time – all of these small efforts can lead to better results across your sales team. Supercharging your sales team is the key to achieving renewed growth and ongoing success for your business. These five steps all center on building a more flexible, responsive sales model for your business – integrating your team, technology and business strategy to achieve lasting growth.